Ford is planning to spend $4 billion on developing self-driving cars by 2023, the automaker said Tuesday, in an announcement that also detailed the creation of a new spin-off entity cleverly titled Ford Autonomous Vehicles LLC. It seems like Ford is consolidating all its self-driving ventures and tech under one roof: the new division will “encompass all aspects of its self-driving vehicle business operations,” the automaker announced. The Blue Oval generated an immense amount of hype last month by purchasing one of Detroit’s most famous ruins just outside of the city’s downtown core, the Michigan Central Station. Ford plans to use the former train station as the anchor for a new campus in Detroit that’s focused on research and development for electric and autonomous vehicles. The new LLC will be housed at the Detroit campus, Ford said, and it’ll invest $4 billion in total in autonomous vehicles through 2023. That includes a $1 billion investment in Argo AI, an artificial intelligence company developing self-driving cars. 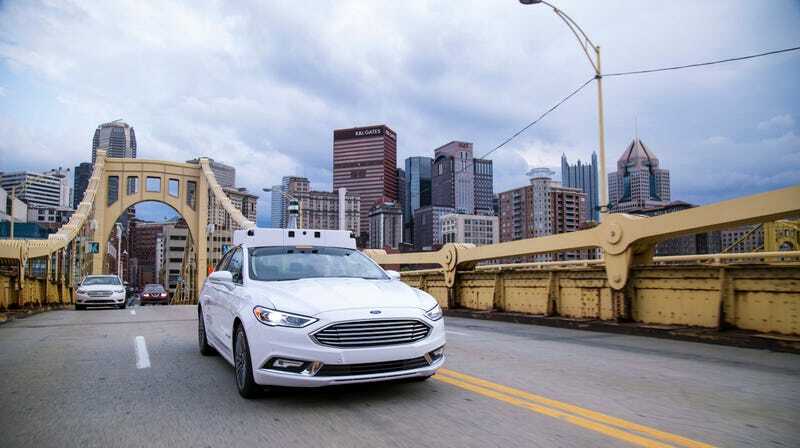 Unlike counterparts racing to introduce commercialized autonomous cars as soon as possible, Ford has taken a slow approach to the the technology. Both its current and former CEOs have expressed trepidation about where autonomous tech stands today, and Argo AI’s chief has taken pains to criticize the rest of the industry for overhyping it. While I’m not sure a new building can persuade engineers in California to leave behind the pleasant weather of the Valley for Detroit, as apparently everyone seems to believe, this kind of investment from Ford can probably be a decent bargaining chip. Ford hopes to have a fully-autonomous car on the road for limited use in a geo-fenced area by 2021.